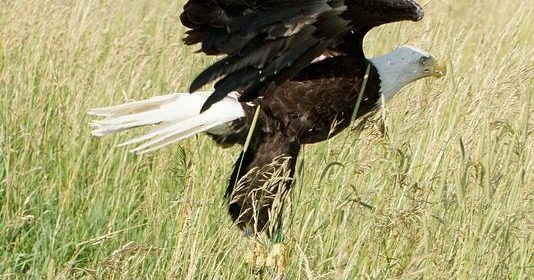 The Medina Raptor Center often works with other rehabilitation facilities within Ohio, when we can provide additional care and support. 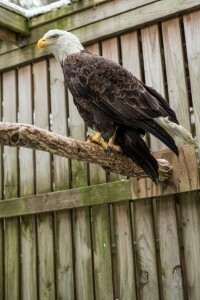 In the case of this special patient, this eagle was transferred to us from Nature’s Nursery on February 3, 2016 after he suffered a couple fractures to his wing. 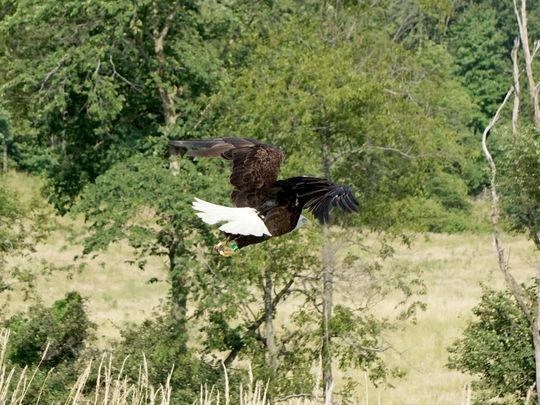 On June 6th he was transferred to the Ohio Bird Sanctuary for endurance training. He did great in their large flight cage. He was released on top of Mt. Jeez in Mansfield on July 7th! For a video and an article on the release please check out the links below! Thank you so much to the crews at Nature’s Nursery and the Ohio Bird Sanctuary for all of their hard work. It really takes a village to do what we do and we are so lucky to get to work with some fantastic people!